If your son or daughter faces juvenile charges in Essex County or anywhere else in New Jersey, their future could be at stake. Do not take any chances when it comes to your child’s future. You can bet that the prosecutors are taking your child’s case very seriously. Now is the time for you to start building a strong defense. The criminal defense lawyers at the Tormey Law Firm understand the rules that govern the NJ juvenile justice system. We know how to navigate this area of the law and vigorously protect the rights of our clients. 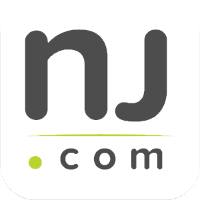 The firm has an office located in Newark NJ and we regularly appear in courtrooms throughout Essex County, including Cedar Grove, Millburn, and West Orange. The firm’s founding partner, Travis J. Tormey, has successfully defended juvenile clients charged with underage DWI, possession of marijuana, and criminal mischief. Additionally, the firm’s criminal defense team includes a former New Jersey municipal and county prosecutor, which gives us a major advantage when we represent your child in court. If your son or daughter has been accused of a crime in Essex County, NJ, the Tormey Law Firm can help. Call us day or night at 201-654-3464 to arrange a free consultation. The technical term for the arrest of a juvenile, or any individual below the age of 18, in New Jersey is “taken into custody.” This occurs when a law enforcement officers determines that the juvenile has violated a criminal law or regulation. However, police cannot take a child into custody until and unless they have probable cause to believe that an act of delinquency has occurred. N.J.S.A. 2A:4A-23 defines “delinquency” as the commission of an act which, if committed by an adult, would constitute: (1) a crime; (2) a disorderly persons offense; or (3) a violation of any other penal statute, ordinance, or regulation. The next step in the legal process is that the juvenile is detained and charged with a complaint for delinquency. However, charges for juvenile delinquency are not filed in every case. Law enforcement occasionally tries to spare the juvenile from having to enter the juvenile justice system. Sometimes the police officer merely issues the juvenile a “warning.” In other instances, the officer conducts a “stationhouse adjustment,” which involves a mediation proceeding between the juvenile, their parents, and the alleged victim. Another alternative to the filing of formal charges is mandated compensatory behavior, such as community service, restitution payment to compensate for damage, a research report, or a letter of apology addressed to the victim. If the juvenile is ultimately charged with a complaint for delinquency, the complaint will first be evaluated by the Family Intake Division in the county in which the juvenile resides. 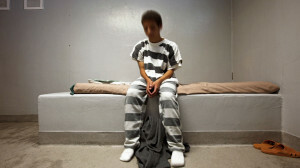 That’s because juvenile charges are usually filed where the juvenile lives – regardless of where the offense occurred. However, the juvenile’s defense attorney does reserve the right to file a motion to transfer the case to the county associated with the alleged offense. Prior to a formal court proceeding, the county Family Intake Division will determine whether the case should go before a Superior Court judge or be transferred to a diversionary program such as the juvenile conference committee. Regardless of the circumstances, the main principle underlying all decisions in the juvenile justice system is “the best interests of the child.” This gives a skilled defense attorney a lot of leeway to keep your son or daughter from getting a criminal record. The Tormey Law Firm can help you child avoid the most severe consequences of a juvenile crime conviction. Our extensive experience in the courtroom has allowed us to develop advanced defense strategies that we use to help our clients beat their charges. Call us 24 hours a day at 201-654-3464 to speak with one of our knowledgeable attorneys, or email us to schedule a free consultation at our office in Newark, New Jersey.